where is the desired beam direction and is a desired null direction. 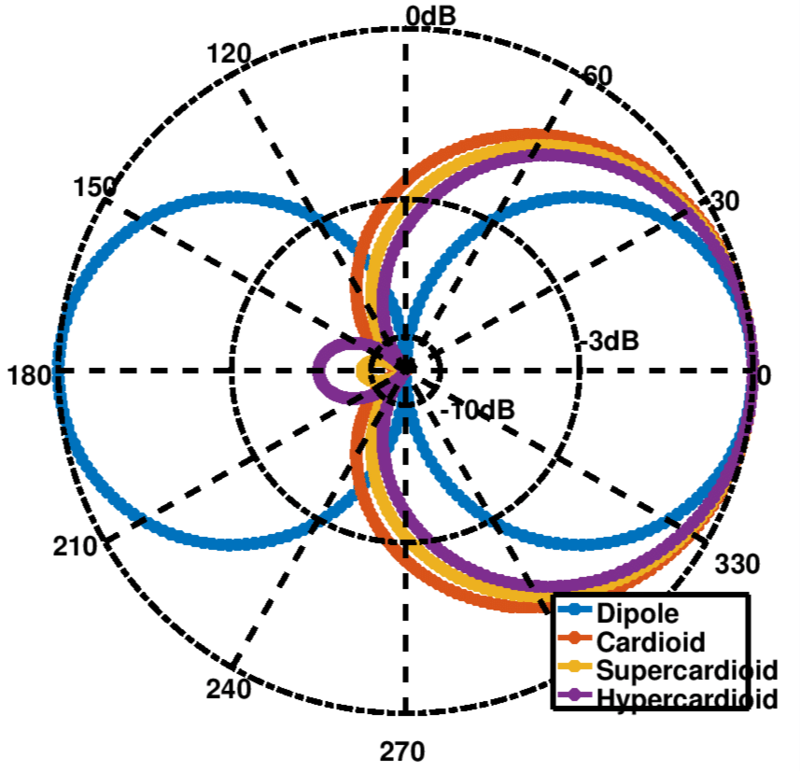 Given , the choice of will determine whether the spatial beam will be a dipole, cardioid, hypercardioid or supercardioid. Sometimes, two cardioids are formed and their difference used to perform spatial beams. Figure 2 below illustrates these 4 spatial beams that can be obtained using two microphones. Increasing the number of microphones helps in reducing the beamwidth.